The Cleft Lip and Palate Association (CLAPA) works to improve the lives of people born with a cleft and their families in the United Kingdom. One in 700 babies are born with a cleft lip and/or palate, a lifelong condition which impacts everyone differently. CLAPA works to improve the lives of people born with a cleft and their families in the United Kingdom, by providing knowledge, practical support, a community and a voice to people affected by cleft. When I found out I was pregnant with my 4th child I was very excited, as were my daughter Jessica and two sons Ollie and Charlie. The pregnancy went well, all the scans were “normal” and we just looked forward to the day we would say hello to our new little one. Izzie was born on 7th June 2011, and when she was welcomed into the world, everyone in the room was taken aback. As nothing had been picked up on the scans, no one could quite believe when she was born with such a large cleft. I was in complete shock and honestly thought I had done something wrong in delivery, as it didn’t properly sink in what was actually wrong. 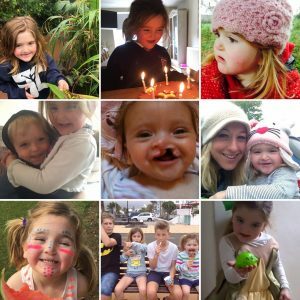 The diagnosis was a bilateral cleft lip and palate, along with hearing loss and Izzie also had talipes, which is where her foot turns inwards. Her face was still beaming, she has always been such a happy girl; but she was not aware of her issues, or what was to come. We had to stay in hospital for some time, whilst we were visited by a cleft consultant, plastic surgeon, orthodontist, speech therapist and counsellors. Then Izzie had an appointment every three days, for three months. Through all of this, I still had all the struggles and worries of a mother, with a baby. Except to feed my baby for the first 3 months I had to use pipettes to give her milk, taking 2 hours a time, and in finishing one feed I would have to look at starting another. My other 3 children sadly got used to having much less attention. 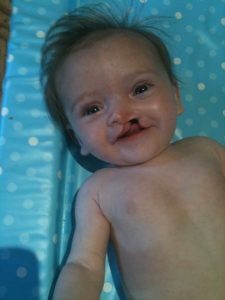 When Izzie was just 12 weeks old she had her first operation, to bring her face together and join her upper lip. That operation lasted 6.5 hours, and was the longest time ever for me; but seeing her afterwards I was so taken with how even more beautiful my little girl was. The palate gap was so big they decided it would need to be repaired over 5 operations, the first one at 6 months. Tragically, 3 weeks after this the area got infected and fell apart, so they had to start all over again. In 2018, Izzie has so far had 6 operations, 1 cosmetic, 4 palate construction and a further cosmetic procedure on her nose. It is sad to say that Izzie has had to deal with other children not understanding, and bullying her. She wanted to have an operation on her nose to straighten it and I stood behind her all of the way. We ask that we work on educating children and ourselves, that just because somebody looks “different”, it does not mean a thing. We don’t know each other’s stories and we should not make judgements on the way somebody looks! We first came across CLAPA (Cleft Lip & Palate Association) in the hospital, when Izzie was born. They gave us information and we got to learn how they offer support and counselling, as well as provide special feeding bottles for children with a cleft. They were also wonderful to come to Izzie’s school, after she had experienced bullying, and they talked to the children about what a cleft is. 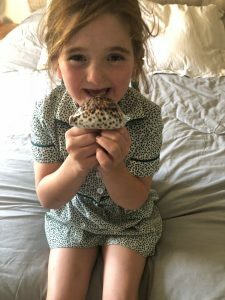 Izzie also has had direct counselling from CLAPA and they have even recognised in her a confident young girl, with amazing speech, who can become an ambassador to help other young children.  Therefore, CLAPA will always be a charity I would like to support and in creating Cotswold Clubhouse I wanted to use it as a platform to raise money for the charity, by giving a percentage of the profits to them. Alongside this I also want to help educate others on this condition and put the message out there, that should you ever find out you are going to have a child with a cleft, have faith that you can have a perfectly wonderful child, who may just look a little different at first. Izzie is a beautiful daughter, inside and out. She is amazingly confident, kind, friendly, happy, loving life and has a smile that can melt hearts!